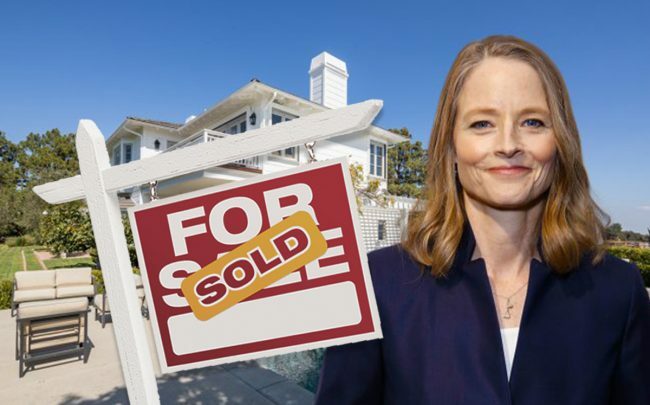 Actress Jodie Foster didn’t have to wait long to snag a buyer for her updated 1950s-built Beverly Hills spread. The actor, director, and producer sold the home for $14.9 million, less than two months after listing it for $15.9 million, Variety reports. The sale price is $3.1 million more than Foster paid for the 7,500-square-foot home in 2012, according to property records. The home, built in 1952, sits on a little more than a half-acre on a hilltop above the Franklin Canyon Reservoir. The previous owner before Foster, British-born television producer Colin Callender, added a second story to the home. Along with the five bedrooms and seven bathrooms, the home has a theater room, a second-story deck space to take advantage of the westerly views, and a backyard pool and patio area. Foster faired better with the Beverly Hills home than she did when she listed her last home in Hollywood Hills’ Bird Streets neighborhood in 2013. First listed at $6.4 million, it sat on the market for more than a year before selling for $5 million.